Idli is every bodies favorite South Indian Breakfast Dish. My mother used to make it every Sunday's and we used to wait for that day. Making a perfect soft idli is not that easy because the perfection depends on the ratios of ingredients and weather conditions for proper fermentation. So now-a-days we get idli rawa and most of the people use it to avoid the risk. Thus, by making the job very simple. I will be showing how to make a perfect soft and fluffy Idli making use of idli rawa. Adding salt to the batter fastens the process of fermentation. Adding fenugreek seeds/methi seeds and poha are optional. Fenugreek seeds are added to fasten the process of fermentation and poha/flattened rice to get soft idli's. Can also add split urad dal. Can use sago instead of poha. 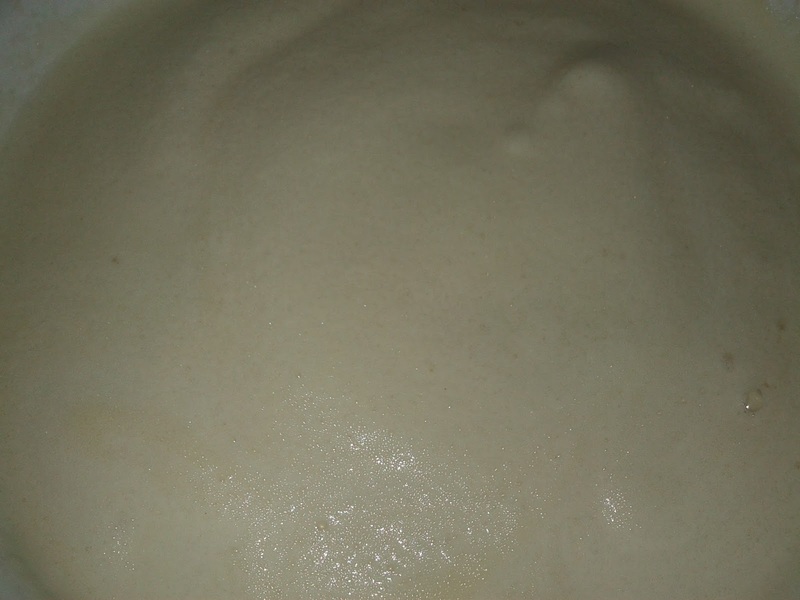 The left out batter can be stored in an air tight container in refrigerator. This prevents the batter from getting sour. The same batter can be used to make a crispy paper dosa's. Idli's are normally consumed with sambar and chutneys. 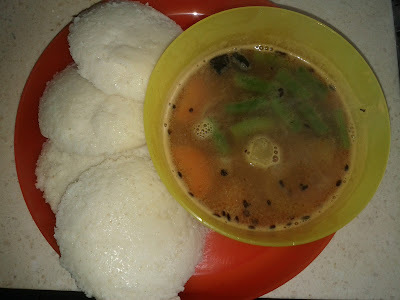 Click here, for recipe of sambar. The quality of urad dal and idli rava also plays an important role to determine the softness of idli. If idli is not soft then try adding the urad dal and idli rawa in 1:3 ratio then 1:2.5 ratio until you are satisfied with the softness. Wash urad dal, fenugreek seeds/methi seeds, poha for 3-4 times and soak them together in a bowl for 4-5 hours prior to grinding. Soak idli rava in a separate bowl for 4-5 hours prior to grinding. Grind until you get a fluffy and smooth consistency of the batter. If the batter appears too thick add water. Take the batter in a large bowl and add salt. Next day or after 7-8 hours, you can see the batter fermented and risen. Before making the idli, mix the batter very well for 3-4 times. 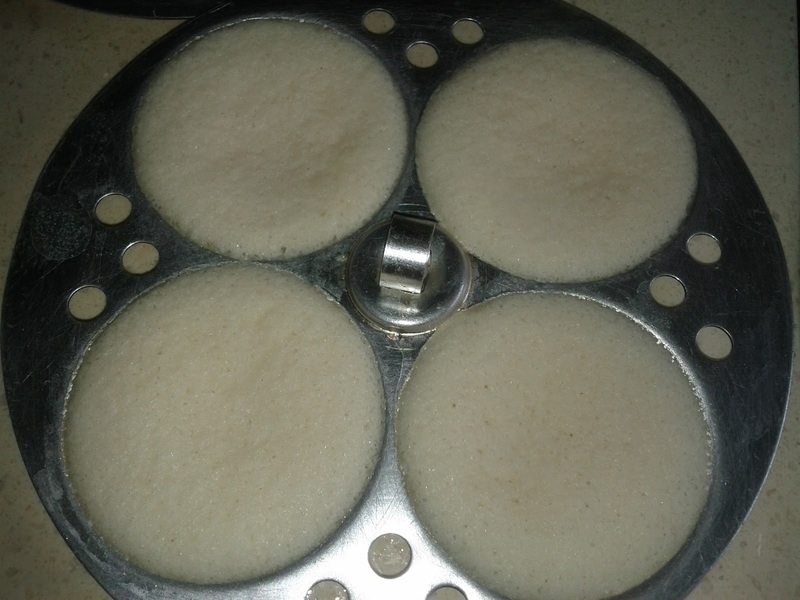 Brush or grease the idli moulds with oil and pour the batter in the moulds. When the water inn a steamer or pressure cooker starts to boil, place the idli stand in it and steam it by closing the lid(remember to remove vent weight/whistle if using pressure cooker). Once the idli's are cooked(Get to know if the spoon/fork inserted into the idli doesn't have any batter stuck to it). Serve the steaming hot idli's with sambar or coconut chutney or green chutney.